The Newbury design from Belledorm features a textured waffle stripe for a contemporary feel in your bedroom. 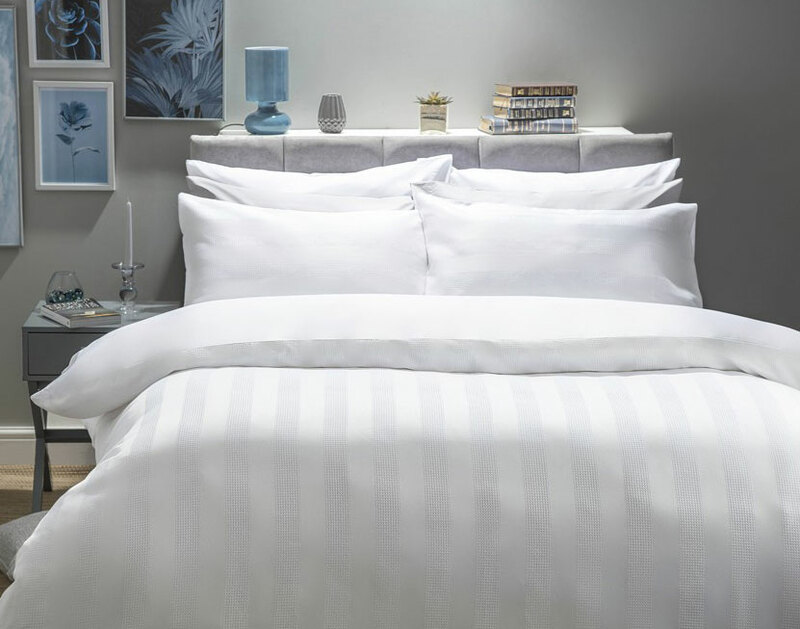 The Newbury design's vertical stripes on the duvet cover complement the horizontal stripes on the pillowcase to give a smart but casual feel. Belledorm's Newbury sets are made from a blend of cotton polyester for easy care. The Newbury design is available in two colours - White and Cloud. The sets include one pillowcase for single size and two pillowcases for other sizes. Click the button below to add the Newbury Duvet Cover Sets by Belledorm to your wish list.